If previously you had to hide in the kitchen to celebrate International Translation Day (since the European Community hadn’t officially approved it), now you can come out in the open and throw a party. On May 24, 2017, the United Nations General Assembly officially confirmed that 30 September is International Translation Day, which makes the day even more special. The UN affirmed that professional translation brings nations together, facilitates understanding and collaboration, and strengthens world peace and security. 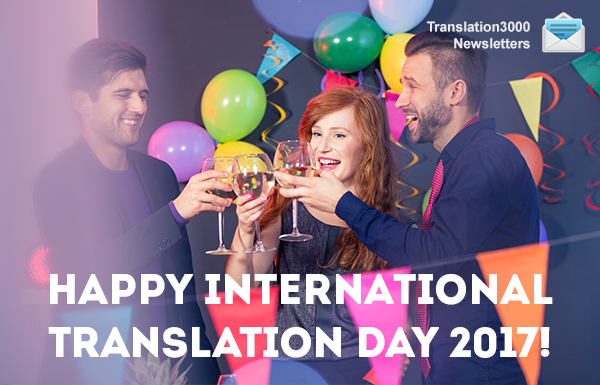 Whether you are a translator or your work is somehow related to the field of translation, we’d like to send our warmest greetings on International Translation Day 2017. Italo Calvino, an Italian journalist and writer, said, “Without translation, I would be limited to the borders of my own country. The translator is my most important ally. He introduces me to the world.” Every day, you have a hand in bringing peoples together, sharing their experiences and wisdom. And that is very valuable to all of us. We wish you inspiring projects, easygoing clients, and a long and satisfying career in translation! We have a surprise for you to celebrate this awesome day. Since translators don’t have their own holidays, we decided to add some to our version of a “translator’s calendar.” The calendar contains a few unofficial holidays, and we hope that one day they’ll become official. 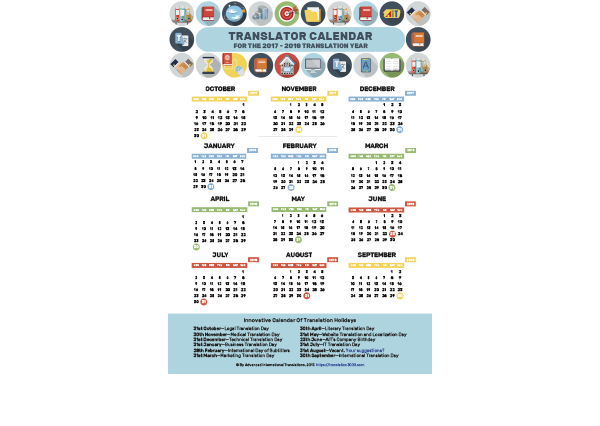 You can easily download and print the calendar for the new translation year from this email. Make ambitious plans for your career and schedule fun vacations! P.S. Don’t hog all the fun for yourself – share this email with your friends. P.P.S. BTW, today is the last day to save and get Projetex, TO3000, or AnyCount at 3/4 of the regular price. Enjoy!